LJIMS "Antrapreneur" – Ahmedabad's topmost entrepreneurship incubation center. Lok Jagruti Trust (LJK) believes in encouraging students to start their own businesses. 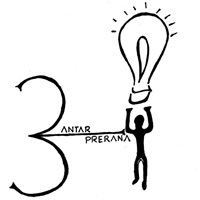 We have our own incubation center 'Antrapreneur – Business incubator'. With the aggenda of 'Startup Mission' flagged of by Prime Minister Narendra Modi, equipped with the skill development LJ Antrapreneur – Business incubator is an authorized nodal agency by governmrnt of India. Here the students are provided infrastructure and mentored by experts, topmost entrepreneurs, venture capitalists. With India having the third largest number of startups after USA and UK, the craze for startups has just started. It is said, entrepreneurship is not for the faint hearted. At LJIMBA we train our students to become the future entrepreneurs. With special entrepreneurship classes included in the curriculum, students are trained to master this art during their graduation and post-graduation course. Our incubation center, considered the best in Ahmedabad and Gujarat has state-of-art facilities to encourage and develop the entrepreneurial skills of the students. Best in-facilities – As the best entrepreneurship incubation center in Ahmedabad, Antrapreneur has the latest facilities for the student entrepreneurs. From an advanced workspace setup, to access to international journals and reference books and websites, every need of the student is addressed. This center is open during the working hours, and often you can see the young entrepreneurs working round the clock. Regular interaction with entrepreneurs from various fields – We believe that entrepreneurship is a field where exposure leads to more wisdom. The students get to interact with the best founders, co-founders and core team members from various startups. LJ Institute of Management Studies organizes special guest session for students to understand the startup models and get mentored by the best talent. In-house mentoring – At Antrapreneur, students are taught to celebrate failure, which is an intricate part of entrepreneurship. Failure teaches more than what success could have taught, in case of an unsuccessful idea that the students were pursuing, they are given another opportunity to either pivot or start afresh. Our staff offers their support to students' right from the ideation to execution and marketing and sales phase. 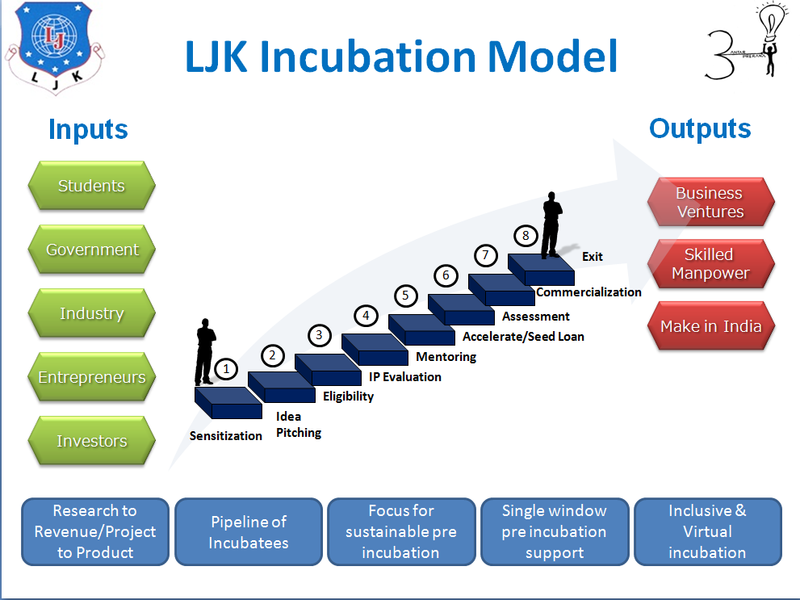 Access to funding – The LJK trust has created a separate fund for student entrepreneurs. Startups are given a base amount to recruit talent, build prototypes, support technology and initiate sales. We believe that the best ideas should see the daylight, and we offer full-fledged support in terms of funding to support these ideas. Chance to work with our faculty entrepreneurs – Antrapreneur has startups being run by the faculty. A student wanting to gain experience working with a startup is given an opportunity to join these startups. They get a chance to be a part from the initial phase and be involved in every aspect. Many startups fail due to the lack of experience of the founders, we don't want this to happen to our students. LJIMBA is the best course for students bitten by the entrepreneurial bug since it contributes in both educating and imparting practical training to them. Have a Business Idea? Contact us for mentoring and funding.